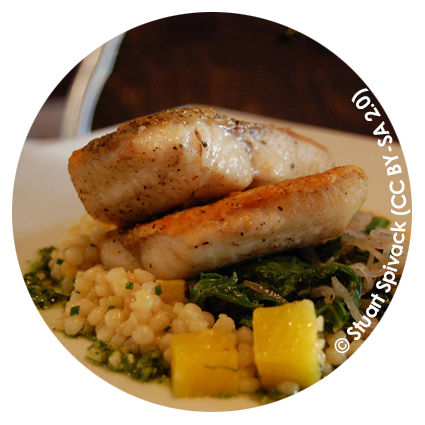 We work towards increasing consumer and retailer access to properly labelled, sustainable seafood choices. EAC has worked on local and sustainable food, in the terrestrial environment and marine environments for almost a decade. 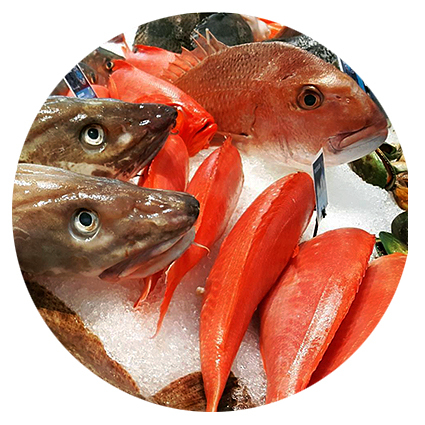 Consumer and business pressure, and market demands are an important avenue for promoting change in our food systems, however it is often extremely difficult to access or even identify sustainable seafood products. SeaChoice is a Canadian collaborative program of the Ecology Action Centre, the David Suzuki Foundation and Living Oceans Society launched in 2006 to help Canadian businesses and consumers take an active role in supporting sustainable fisheries and aquaculture at all levels of the seafood supply chain. Moving forward, SeaChoice is taking a new direction, focusing on increasing transparency and traceability throughout the seafood supply chain, Canadian fisheries reform, and providing tools and resources for businesses to develop and improve their sustainable seafood commitments. Recently, we have taken a deeper look into the state of sustainable seafood in Canadian markets, and how Canada is missing the mark on labelling requirements for seafood sold in the country. The Ecology Action Centre is responsible for all Atlantic Canada outreach and program implementation. We also actively engage as a member organization and SeaChoice representative in the North American wide Conservation Alliance for Seafood Solutions. Over the last decades, concern has increased globally about overfishing and habitat destruction through unsustainable fishing. One growing strategy to address this is to apply eco-certification and labelling to seafood products to drive consumers towards more sustainable fish products. 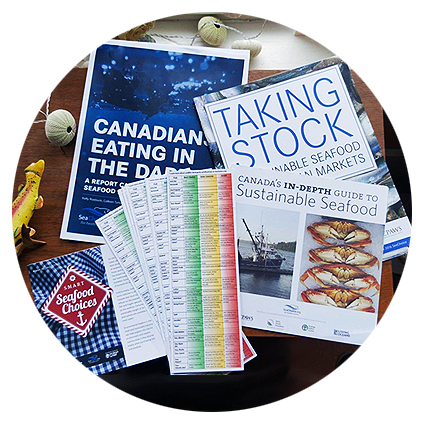 With more and more fisheries in Canada getting assessed under these eco-labels, the Ecology Action Centre engages as stakeholders in these certification processes. We bring expertise and knowledge about Canadian fisheries practice, policy, and management. We strive to keep standards for eco-certifications high, so that they can be credible and useful tools for pushing the change we need to see on the water to improve our fisheries and aquaculture. 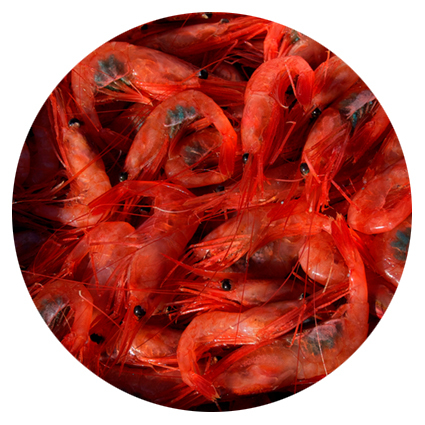 Read the Seachoice report on What's Behind the Label of two prominent eco-certifications, the Marine Stewardship Council and the Aquaculture Stewardship Council for more info. In an effort to increase local food in some of Nova Scotia’s institutional food services, such as at universities, nursing homes, and hospitals, we worked to incorporate sustainable, local seafood into a two-year pilot project. The objective was to assess the feasibility of shifting seafood procurement in healthcare facilities to support regional, small-scale, groundfish fisheries. The pilot project concluded in March 2017, and allowed for the establishment of important relationships with regional value chain members and connected small-scale fishermen, processors, and distributors to the Ecology Action Centre’s broader markets based work. The EAC is an active member of the Nova Scotia Institutional Procurement Working Group and the Food Action team will continue to work with Mount St Vincent’s Food Action Research Centre Food Arc on increasing local, sustainable seafood in Nova Scotia’s institutions.